Hi everyone. Today I will presenting you one amazing online website which offers you great dresses. If you want to hear more about Aisle Style, keep on reading. First things first, what Aisle Style is? Aisle Style is a global online retailer of evening dresses, wedding dresses, prom dresses, and dresses for special occasions. Their factory and operations are located in the city of Suzhou, China founded in 2007. Since then offer their customers amazing unique dresses for every special event or occasion. The most significant thing are always wedding dresses which are the hardest to find. Aisle Style gives you many options,if your budget is low and you want to still look elegant and feel special, they offer you amazing but still cheap wedding dresses. Also we always want to follow the recent trends and be "in", but if you really don't have much time to search and check new trends, this amazing website has special section "Wedding dresses 2017" where you can find all the latest designs of dresses and your special one. They have more than 1200 models, soo ladies if your special day is close, start picking yours! You can really be "picky" and still get what you want, for example: short wedding dresses, lace wedding dresses etc. With Aisle Style you can save up to 60% compared to their competitors and they guarantee you to get perfect designs at reasonable prices. You can really save soo much many money and be satisfied.They deliver in almost every country around the world. These include Europe, North and South America, Asia, Africa, Oceania and many other countries. Also my prom is coming soon, and since it is really hard to find unique and good quality prom dress in local stores, Aisle Style will be one of my first choices to look for my perfect one. 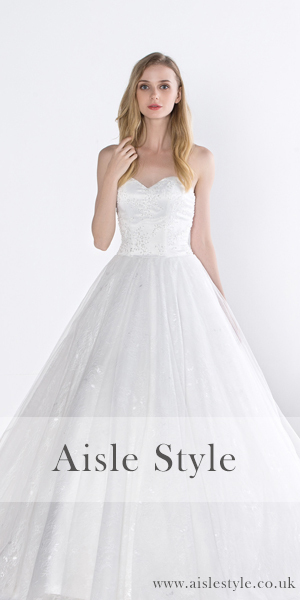 For more information and dresses, visit Aisle Style, you won' regret it! Looks so trendy and adorable! Avon New In: Poncho,Watch etc.